Irani was to file her nomination on April 17 for the parliamentary constituency represented in the Lok Sabha by Congress president Rahul Gandhi. 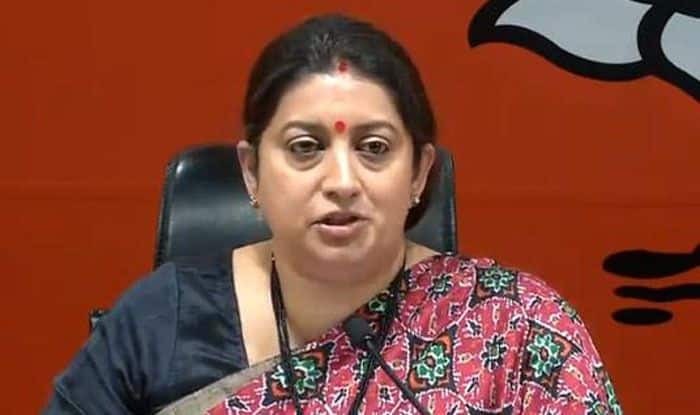 Union minister and BJP candidate Smriti Irani will file her nomination papers for the Lok Sabha polls on April 11, party sources said in Amethi on Tuesday. “She was to file her nomination on April 17, but since it’s a holiday, she will now file her papers on April 11,” Bharatiya Janata Party’s (BJP) district president Durgesh Tripathi said. The Amethi parliamentary constituency, represented in the Lok Sabha by Congress president Rahul Gandhi, has four Assembly segments — Tiloi, Gauriganj and Jagdishpur (reserved) in Amethi district and Salon (reserved) in Raebareli. Gandhi is all set to file his nomination on Wednesday. The district administration has made all the arrangements for the filing of nominations, District Magistrate RM Mishra said. Amethi goes to the polls in the fifth phase on May 6.